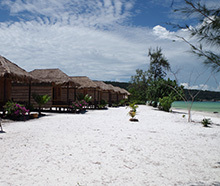 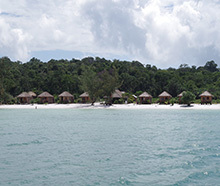 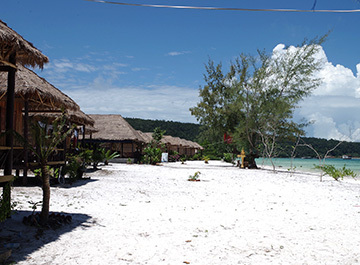 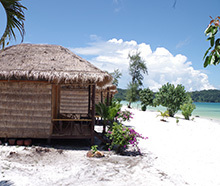 Description Nicely finished, large wood and thatch bungalows on a white sand beach on Koh Ron Samloem’s Saracen Bay. 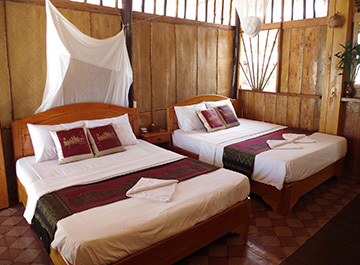 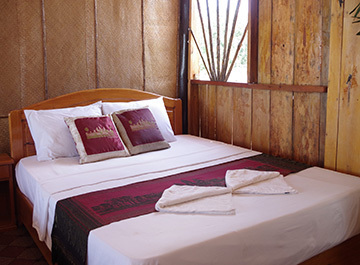 Clean bungalows with comfortable king size beds, en suite toilet and private balconies with an ocean view. 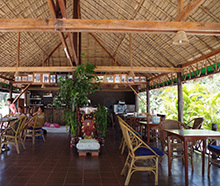 Beach restaurant serving Cambodian and western food.